Each of the 3 versions can return up to 68.9mpg saving you money off fuel evertyime you drive. 0-62mph is a sprightly 9.6 seconds on the entry level model and 8.6 seconds on the GT and SE version. The interior is very well built and spacious with the central touch screen the main focus of the panel. The boot space is generous as well with up to 510 litres available. It’s fair to say long journeys in the Jetta will be more then comfortable. Safety is well taken care of with a full range of airbags, stability control and anti-whiplash headrests. A rear traffic blind spot alert system can be added as an optional extra. Reliability is the usual high Volkswagen standard as the Jetta is based on the award winning Golf. 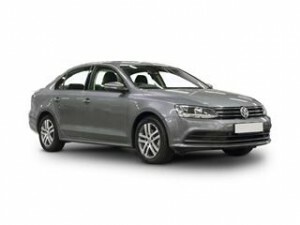 Quality should not come at a price and the Volkswagen Jetta whilst already being great value for money could be even cheaper thanks to our new online quote service here at Coast2Coast Cars. Our money saving dealer offers can be displayed online in an instant. Simply fill in the form online with the spec of your choice and see how much you could save. There’s no fee and no obligation to accept the quote you receive at anytime.